Kwame Raoul is Illinois Senate's Democratic member and an American politician. He was born on September 30, 1964 and he has been representing the 13th district ever since he was appointed to the seat in 2004 after Barack Obama, who resigned because of being elected to US Senate. Kwame Raoul is the chairman of Redistricting Committee and Pension & Investments Committee of Illinois Senate. Kwame Raoul is a Haitian descendent and was born to Dr. Janin Therese Raoul and Marie Therese Raoul who immigrated to US. 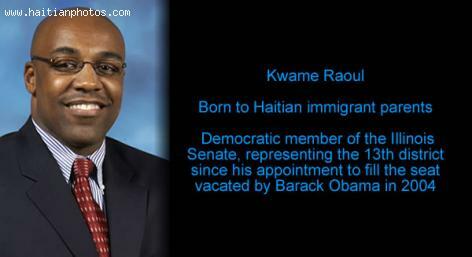 Kwame earned a bachelor degree from DePaul University in Political Science. Later he achieved a degree in law from Chicago-Kent College of Law. 	Early voting access expansion in the state of Illinois. 	Low Income Energy Assistance Program of the state. 	Payday loan industry crack down. Among several other achievements, Kwame backed the legislation that aimed towards re-integration of ex-offenders back into the society or community. Senator Kwame Raoul and his wife Kali have two children named Mizan and Che. They live in Hyde Park of Kenwood area. Raoul is a member of 100 Black Men's Chicago Chapter.